The JLT Novices' Chase has been a successful race for myself in recent years. I've backed the last 3 winners of this, including one of my main ante-post fancies last year - Black Hercules. That horse hasn't progressed at all this season which is very surprising, but that's a story for another day. This is a race that Ireland have dominated, particularly Willie Mullins. Of the six runnings of this race, Willie Mullins has won three. 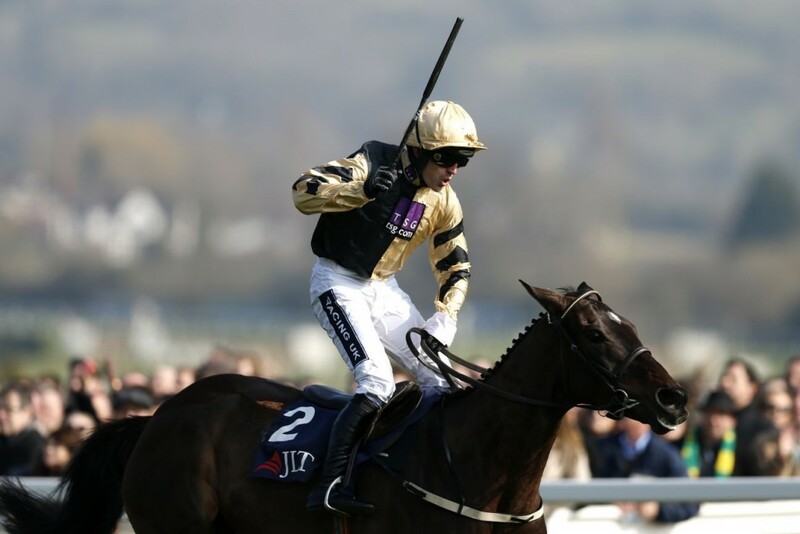 Sir Des Champs in 2012, Vautour in 2015 and Black Hercules in 2016 (pictured above). Yorkhill is his main hope of making it three wins in a row. The Irish are also likely to be represented by Disko whilst Britain's main hopes seemingly lie with Top Notch, Politologue and Whisper. The last two winners of this race have been rated 152 and 154. 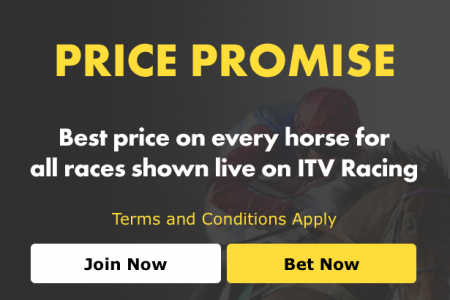 For all races shown on ITV Bet365 promise to offer the best price on every single horse that is running. Place your bet with Bet365 safe in the knowledge that you have secured the best possible price! Why bet anywhere else? I'll start with the current favourite of this race, Yorkhill. A very good horse over hurdles, he showed that by beating Yanworth in the Neptune last year, but for what he has shown so far this season over fences does he deserve to be as short as 6/4? Willie Mullins said that the plan for this horse was the Champion Hurdle but just before Xmas they decided to send him chasing, that was at the time they still had Faugheen and Annie Power fit and healthy. I wonder if he regrets that decision now? Lots of people, including myself, thought that he'd put Yorkhill's chasing career on hold and switch back to hurdles after both Faugheen and Annie Power suffered injuries but that didn't happen, he's is a certainty to line up for the JLT. Yorkhill has had 2 runs this season, he won both of them comfortably but he should've done just that. Does that form make him a 6/4 shot for this race? There lies my doubts. There may be better value to be had elsewhere. Top Notch was 5th in the Champion Hurdle last year and that's probably the best piece of hurdles form on show. Nicky Henderson made a comment in his stable tour saying that he believed Top Notch wouldn't have the scope for chasing, so the fact that he's 4-5 since switching to fences must be surprising. His only defeat came against Charbel who ran a big race in last years Supreme (that form is rock solid) and Charbel is well fancied to run a big race in this years Arkle. Top Notch's best form is on ground with soft in the description, as a matter of fact quite a few of Henderson's horses want the rain to keep falling. Top Notch already has Grade 1 winning form, he won at Sandown the Scilly Isles Novice Chase but quite a few of the horses he beat that day ran way below their best, so I'd argue that the form isn't quite as strong as some people want to believe it is. Nicky Henderson's comments put me off and added to the fact I don't believe Top Notch's form is as solid as some people are making out, it makes me want to oppose him here. This is a horse that I'm really interested in. Politologue is a 152 rated animal over fences and the only horse to beat him this season is Waiting Patiently. Malcolm Jefferson's horse is probably a 145+ chaser and is excellent on soft ground. I'd argue that Politologue was below his best that day as he ran very free and wasted a lot of energy. He jumped great and although he was plenty keen enough, he still saw out the the 2m5f trip well, which will mean he will probably step up to 3m's in time. Paul Nicholls wasted no time getting Politologue back on the racecourse, but this time wearing a hood. The race was a formality providing Politologue jumped around. As expected he put in some brilliant leaps to win unchallenged. The field in this years JLT are likely to go a strong pace and I think that will help Politologue settle. I think the ability to go 3m's will also suit this horse. I think Disko has a similar profile to last years winner Black Hercules and that makes him a very interesting contender for me. I think he's a 3m horse in time, but 2m4f's over a stiff track will be right up his street. Disko is one of the likely pace angles in the race but I don't think he has to lead. I think his chase form is rock solid. If we look back to his two most recent spins over fences then both of them were in Grade 1 events. He looked the most likely winner approaching 3 out in the Neville Hotels Novice Chase but was outstayed by Our Duke. He reversed the form with that horse next time out in the Flogas Novice Chase over a slightly shorter trip of 2m5f. He took up the running after 3 fences, put in some terrific jumps all the way round and held on comfortably to win by a couple of lengths. I've already touched on Ireland's record in this race and I can't bring myself to back Yorkhill at 6/4 considering what he's achieved over fences so far. For that reason I'm playing Disko EW. I have a brilliant record in this race and whilst the obvious bet to continue that run looks to be Yorkhill at 6/4, I'm willing to put my neck on the line and say he's miles too short when comparing some of his form with rivals over the larger obstacles. If Politologue settles better then he has a very good chance of running into at least a place. If the ground comes up soft then it increases Top Notch's chances. The other Henderson horse, Whisper, shouldn't be completely ruled out either. Henderson was keen to mention him when answering questions about Top Notch, he might sneak into a place. SpankTheBookies selection: DISKO (Each-way). Also reverse forecast with YORKHILL.